So recently, I’ve been looking into comic book writers and artists who had incredibly long, unbroken runs on books. Normally, a writer may stay on for a year or two and then decide to move to another book — or an artist may be assigned another book, depending on whether one book is cancelled or put as a higher priority. It’s relatively rare that writers and artists stay on one book for long periods of time, especially today. But here are some that not only went on for a long time, but managed to create long, unbroken runs. First, a note: I am only going with Marvel and DC Comics here. I know there have been long, unbroken runs on creator owned comics, but those are much more common than work-for-hire for the simple reason that, well, those are creator owned. Besides, if I opened it up to creator owned, pretty much everyone would be beaten by Dave Sim and his twenty-seven year run on Cerebus. When Chris Claremont started writing the X-Men in X-Men #94 (August 1975), it had just been revamped by Len Wein and Dave Cockrum and nobody really knew if it was going to work or not. The book previously had done poorly and had actually just become a book of reprints for the past several years. Claremont’s run, however, revitalized the X-Men. Claremont and Cockrum, and then soon John Byrne, were able to create new and exciting stories featuring new and old characters. 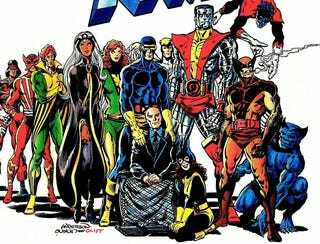 In fact, the X-Men became so popular that Claremont stayed on the book until Uncanny X-Men #279 (August 1991), a full sixteen years without skipping an issue. And that’s not even counting the spin-offs (like The New Mutants) or mini-series (like Wolverine) he wrote. If Claremont was standing on the shoulders of giants, then Lee and Kirby were those giants. Their nine year run on Fantastic Four includes some of the best and most iconic moments, including the Galactus and Silver Surfer Saga. Kirby wasn’t the only prolific artist around, however. Over at DC, Carmine Infantino was well known as a fast and reliable artist. So reliable, in fact, that he had an unbroken eight year run penciling The Flash from 1959 (the first new Flash story since the Golden Age) to 1967. In fact, for most of his run, Infantino was illustrating stories written by John Broome. Broome was also very prolific, although he would switch off writing the stories with other writers like Gardner Fox and E. Nelson Bridwell. Eventually, Infantino left the book and was replaced by Ross Andru, another prolific artist who once had a nine year run on Wonder Woman. As stated above, artist Ross Andru had a nine-year run on Wonder Woman, from 1958 to 1967. However, there was a writer who went on for longer than that: Robert Kanigher’s run on Diana’s book started with Wonder Woman #29 (May-June 1948) and ended with Wonder Woman #176 (May-June 1968). Yes, that’s right: Kanigher wrote Wonder Woman for twenty years. Without missing a single issue, as far as I can tell. Kanigher was such a prolific writer, he said that he typed around 100 pages a week — and he probably did. Kanigher also had a long run on writing Our Army at War, which eventually changed into Sgt. Rock, a character that Kanigher had created. Although his run there isn’t unbroken, he probably wrote for the book for over twenty years. And here’s a more modern example. Bendis and Bagley started the Ultimate universe in October 2000 with Ultimate Spider-Man #1. They would continue writing and drawing the series together until Ultimate Spider-Man #111 (September 2007), seven years later. Seven years is a long time for any writer/artist combo, but Bendis, in fact, stayed on and continued writing Ultimate Spider-Man until it ended with issue #133 (June 2009). And then he wrote the second volume of Ultimate Spider-Man. And then he wrote Ultimate Comics: Spider-Man. And then he wrote Miles Morales: Ultimate Spider-Man. And after Bendis and Bagley finish the Ultimate universe with Ultimate End, Bendis will then go on writing Miles Morales in the main universe with Spider-Man. Man, I’m beginning to think Brian Michael Bendis loves writing Spider-Man. No article about long-running writers/artists would be complete without Curt Swan. Swan started drawing for DC Comics in the ‘40s and kept going on and on until the ‘80s. Although his run on drawing stories for Action Comics and Superman isn’t unbroken (there were lots of artists contributing back then), he still holds the record for just how many stories he illustrated — he worked on both books for over thirty years. Specifically, he started drawing stories for Action Comics in 1948 (back then, he was illustrating stories about “Tommy Tomorrow”), but starting in 1957, he began illustrating Superman stories and never stopped. This went on until 1984, when he illustrated Alan Moore’s last Superman story, Whatever Became of the Man of Tomorrow? Unfortunately, that was also Swan’s last major work for DC and Superman. I’m sure there are other writers and artists I have missed, but these were the ones I found. Tell me in the comments which other writers and artists have had long runs on books.